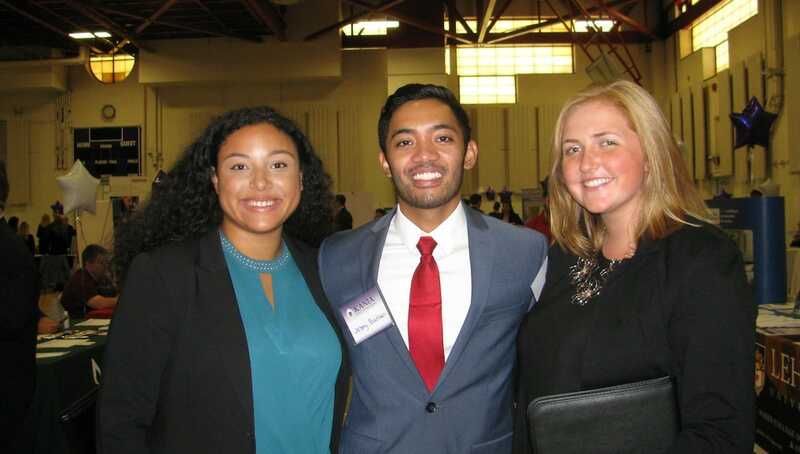 The University of Scranton undergraduate class of 2017 reported a 99.9 percent success rate in their career goal of employment or pursuing additional education within one year of graduation. If you can’t be perfect, 99.9 percent will just have to do. 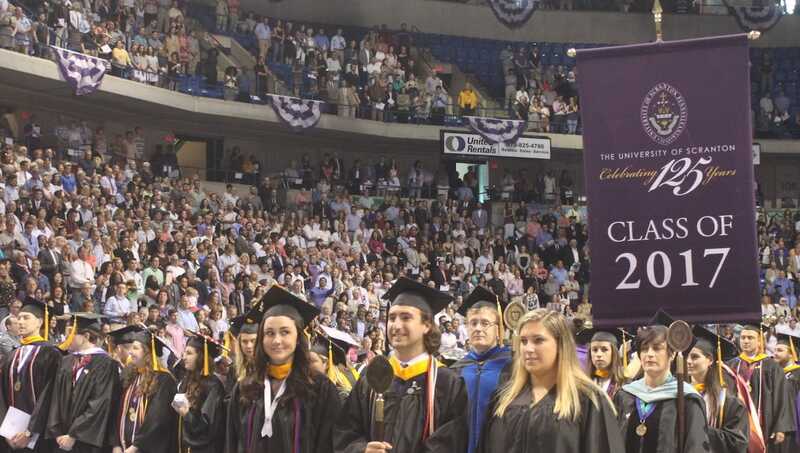 The University of Scranton’s undergraduate class of 2017 are 99.9 percent successful in achieving their post-graduation plans according to survey data compiled by the University’s Gerard R. Roche Center for Career Development. Chris Whitney, director of the University’s Center for Career Development, said that while the success rate is outstanding, the “knowledge rate,” or percentage of graduates for whom their outcome is known, is 90 percent, far exceeding the national average knowledge rate of 63 percent (as reported by the National Association of Colleges and Employers). 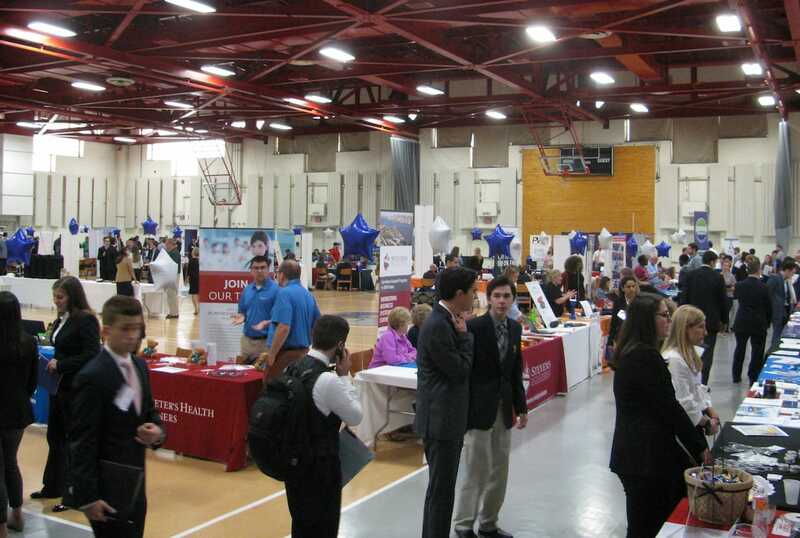 One-year after graduation, 99.9 percent of Scranton’s undergraduate class reported being successful in their choice of career path of employment, pursuing additional education or other career path within one year of graduation, based on career success data obtained on 90 percent of the undergraduate class. 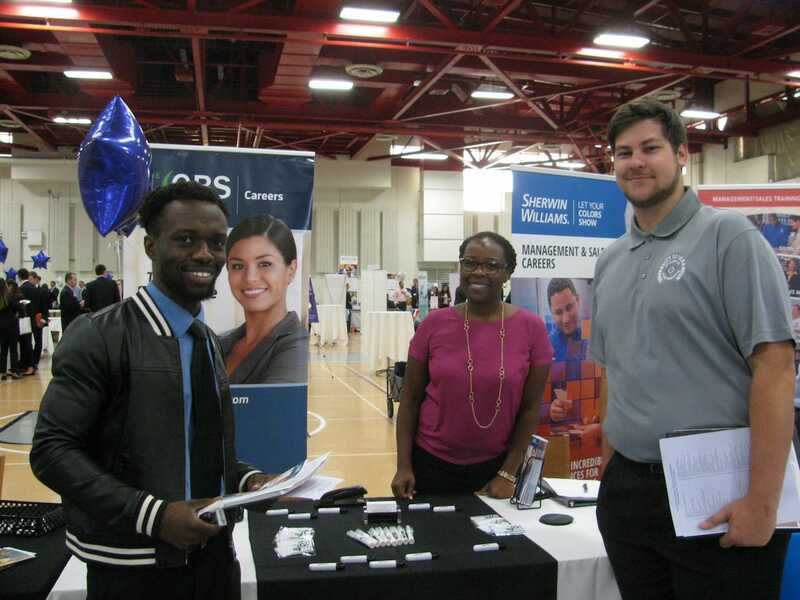 Of these graduates, 52 percent reported being employed full time, 43 percent report being enrolled in graduate school and 4.9 percent report success in their choice of a different career path, such as volunteer or military service or part-time employment. The average (mean) salary reported was $51,116, based on the bachelor’s degree graduates that provided salary information. The full First Destination Survey reports can be viewed on the Center for Career Development webpage. 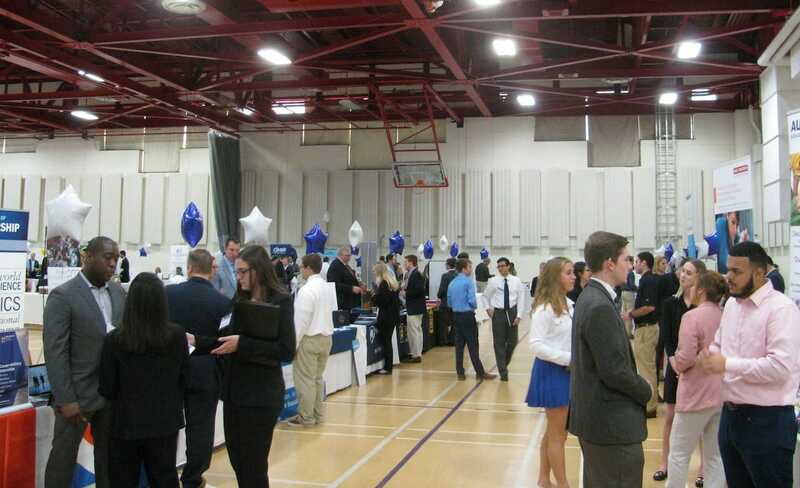 The University of Scranton’s Center for Career Development hosted its Fall 2018 Career Expo Fair earlier this semester. 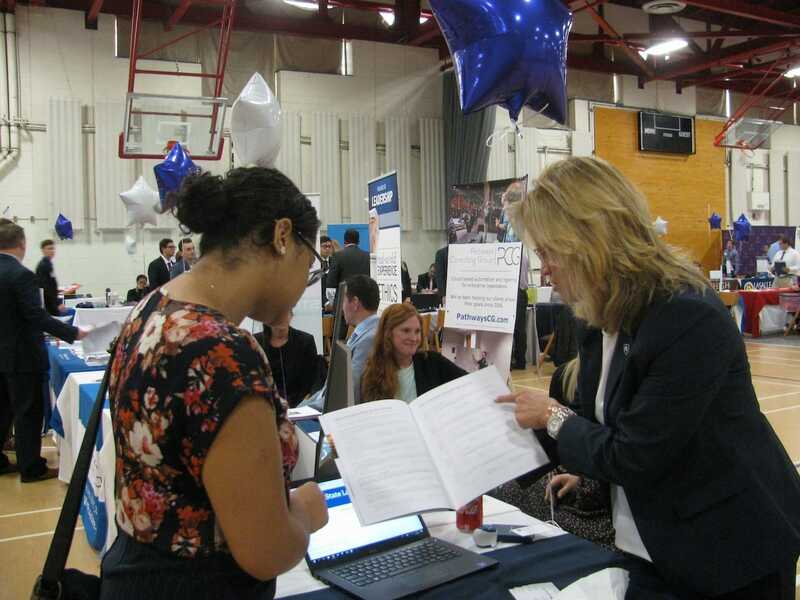 The event, which is held on campus once a semester, gives Scranton students the opportunity to meet with representatives from organizations offering internships or employment opportunities. 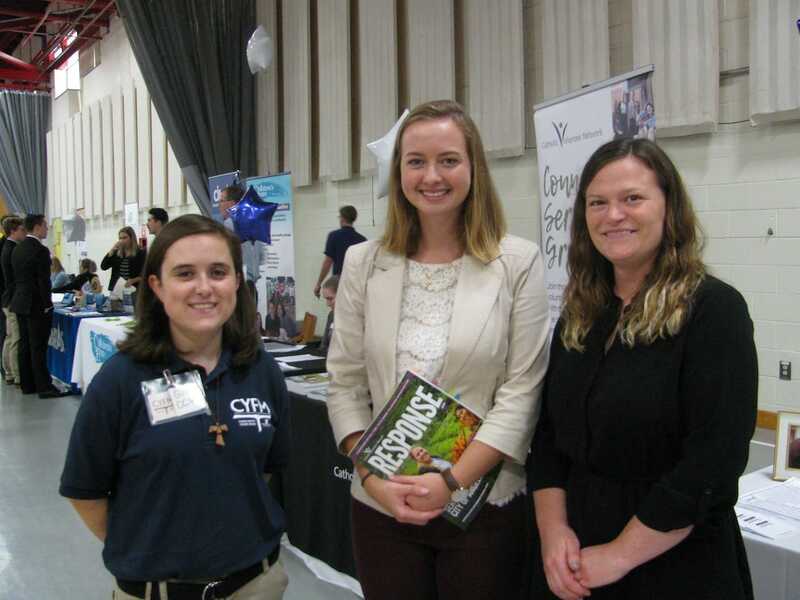 Geisinger, Integrity Staffing Solutions, Inc., Catholic Volunteer Network and Interim HealthCare of NEPA were among the 107 represented organizations at the fair.